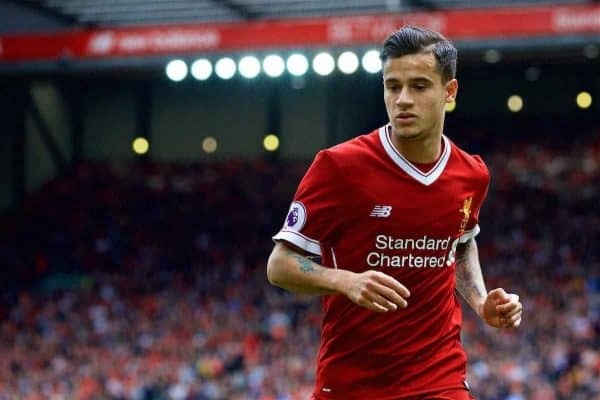 A report on Thursday night claims Liverpool will reject an €80 million (£72 million) bid from Barcelona for Philippe Coutinho. The 25-year-old has been linked with the Spanish giants for a long time, with Coutinho seemingly earmarked as a replacement for Andres Iniesta at the Nou Camp. But this is the first time it’s claimed a bid has actually been made, with the Daily Mail suggesting Liverpool will turn it down as it does not reflect the player’s value in the current market. Whether that means Liverpool would entertain a bid if it was at a price they felt was worthy of the Brazilian’s value remains to be seen. But with Barcelona potentially losing Neymar to PSG for an incredible €200 million, they could well turn their attention to replacing him with his compatriot. PSG had been reported to be interested in Coutinho until this week’s Neymar reports. UPDATE: This report has been corroborated by all the press gang and Liverpool have rejected the bid, read what Klopp had to say about the bid here.